This date range picker widget designed for the Vault platform, to quickly populate date range form fields with a single dropdown. For date fields that validate from collected fields, the offered range dynamically adapts to disable dates that are not a possible option. 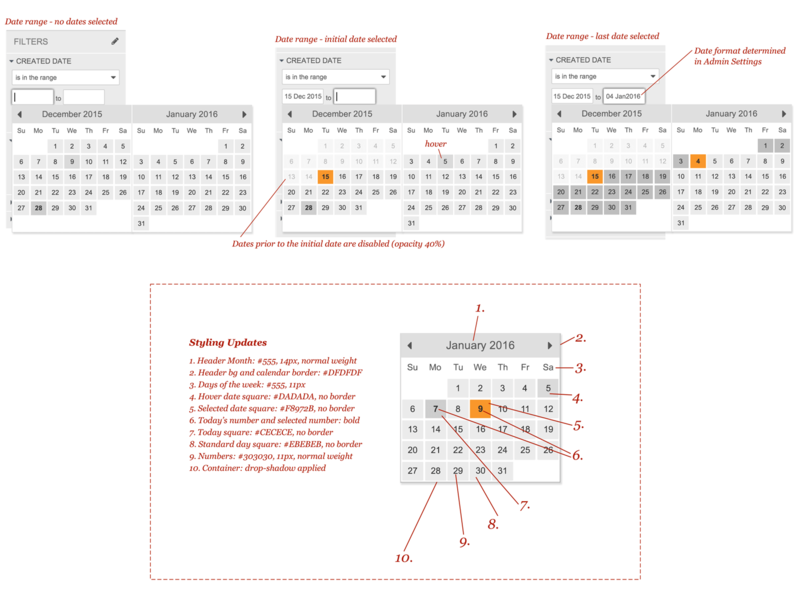 This DateTime picker includes a time picker with the option to specify a global timezone. The default timezone is pulled from the user’s locale; the DateTime format presented is determined at the Administration-level, which is applied site-wide.